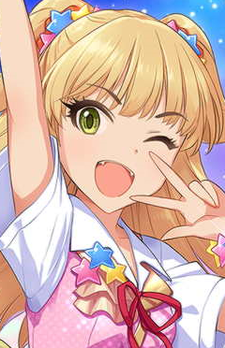 Rika Jougasaki is the younger of the Jougasaki sisters. She enjoys playing around and became an idol to be like her sister, Mika Jougasaki, who she admires quite a bit. Like Mika, she is involved in the Gal subculture. However, she considereably more energetic than her sister. She loves to collect bugs and stickers, and will occasionally threaten to bite the Producer if he neglects her. She sometimes gets on Mika’s nerves, but she really doesn't mean it most of the time.